Home/Enforcing Reservation of Title – Cold Comfort or Cash? Reservation of Title (“R.O.T.”) is a very important credit management tool that has been around for over 30 years. It has been used successfully on repeated occasions to secure payment for or the return of goods when all other avenues may have failed. The idea is that, in the contract between the supplier and the recipient of goods, there is a specific condition that title or ownership of the goods doesn’t pass to the recipient on delivery or collection (which is the normal situation); it happens only when the goods have been paid for in full. There are some variations on this theme and it is even possible to lay claim to specific goods that have been paid for if other goods that are perhaps not available for collection have not. For instance, a box of widgets may have been supplied months ago by a manufacturer and they may have been paid for but are still sat in a full box on the customers stockroom shelf whilst a special order, supplied more recently by the same manufacturer, may have already been sold on although the manufacturer’s invoice for them hasn’t yet been paid. If the ROT clause is what is known as an “all monies” clause then it is possible that the box of widgets can be reclaimed in lieu of payment for the later item. In a former business life as a lawyer I successfully used ROT to get paid for or reclaim goods previously supplied to otherwise insolvent traders; goods as varied as a small yacht, a shipping container of ceramic tiles, a complete (but not yet constructed) timber-framed building and a pallet of engineering components. To me and my clients, ROT was a fundamental component of our armoury in the battle to avoid being at the back of the queue when cheques were being written (those were the days!). As an Insolvency Practitioner, I continue to be amazed at how ill-prepared most trade suppliers are when it comes to getting paid. When I do get appointed as Liquidator or Administrator of a Company, one of my earliest concerns is to assist creditors that may wish to maintain a claim to ROT. This is important as I am otherwise unable to identify other assets that I can legitimately sell to realise value for creditors in general. Sorting out not only what the Company owns outright as well as how much it owes and to whom are amongst my earliest concerns. Although ROT is a well-recognised principle, in my experience the occasions when it is successfully argued are surprisingly few and the weakness of the claims that fail would often have been avoided if only the suppliers concerned had taken some basic steps to support their case. It is never a good day when I find myself dealing with an increasingly agitated trade creditor who cannot understand why their claim to Reservation of Title is not being agreed. This isn’t meant to be detailed legal advice but I hope that this article may help you or your Clients to understand what ROT is about and perhaps to make sure that you review your T’s & C’s as well as your systems and procedures. It can make a significant difference and speed up the process of getting paid or recovering your goods when the customer can’t or won’t pay. Claims to Reservation of Title in goods have to be specific and that means they have to be included in your Terms and Conditions. These have to be properly drafted if you hope to make use of them; poorly drafted T’s & C’s are no better than none at all. Supplying goods is the physical act of performing a contract between the parties. All contracts have terms even if they aren’t written down and most parties understand what the contract expects of them. However, there are lots of terms that can only be set out in writing and would certainly be difficult to enforce if they weren’t. Even so, having them written down is still of no use at all if both parties haven’t acknowledged that they exist before the contract is performed. That means before the goods are supplied. This is where most ROT claims fail because the terms may be on the back of an invoice or even a delivery note but, unless there has been a regular course of previous dealings, they won’t have come to the notice of the “buyer” and therefore aren’t incorporated (included) in the contract. You cannot enforce terms that aren’t included in the contract. 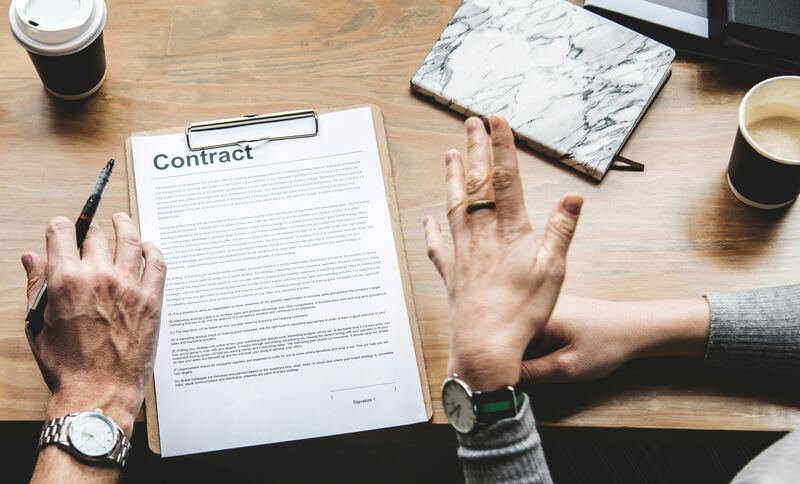 So, if you have an ROT clause in your T’s & C’s make sure that you can demonstrate that they were incorporated; the best way of doing that is to bring them to the attention of the buyer at the time they place the order and get them to acknowledge the fact that you have done so. That used to be a signature but, if you do business online, you may need to look at your e-commerce processes to fulfill that need. If you want to get paid for something that has been supplied on credit, it’s important that the customer can’t use your poor accounting records as a means of delaying payment. Timing can be critical and it’s no good chasing payment for goods that may be sat on the customer’s premises if time arguing about it allows them to sell them on to an unwitting third party. Keeping track of payments and credits on your sales ledger, reconciling them regularly and issuing statements all assists when it comes to getting paid or enforcing ROT. The technical phrase here is that “the goods must be specifically referable to the contract.” This is legal speak for making sure that the goods you are claiming to be yours under the ROT clause are clearly recognisable as the specific goods that you actually supplied under the contract. In some cases this is easily addressed by making use of unique serial numbers and particularly important where electronic equipment, vehicles or items of plant and machinery are involved. In other cases it is much more difficult and, although a box of widgets may be stamped with a unique mark, that ceases to be of use when that box is emptied into a binnacle or the contents are bagged up separately by the customer. There is ultimately only so much that you can do to help your case and nothing is foolproof. This is common sense but so many businesses pay lots of attention to delivering their service or product in a manner that gets them repeat sales but they often skimp on attention to the internal processes which matter less to the customer or to their public profile. When I started out on my career I learnt much from my boss who was the head of credit control for a builders merchant with £400M turnover; one of his mantras was that “Credit Control is a Profit Centre”. All I can say is that in my opinion he was right and it should be run like one. Make sure that you have a structured process for chasing and collecting what is due to you. That means getting the paper trail right and having a diary-led strategy. Your accountant can help you with this and, if you can’t afford the time yourself, there are plenty of good quality specialist Credit Management people out there who can help. It’s a service that really can pay for itself. Fundamentally – Don’t wait for a formal insolvency. Press your case early. ROT isn’t just for insolvency situations, it’s for whenever you haven’t been paid on time. In addition to those instances where we are appointed on a case, we can assist creditors and their professional advisors when they come to deal with other Insolvency Practitioners. I hope this has given you some food for thought. If you’d like more guidance please consult with your Accountant but if you would like specific support dealing with late payers, please don’t hesitate to contact us at Poppleton & Appleby. We have many years of experience helping creditors enforce their rights.